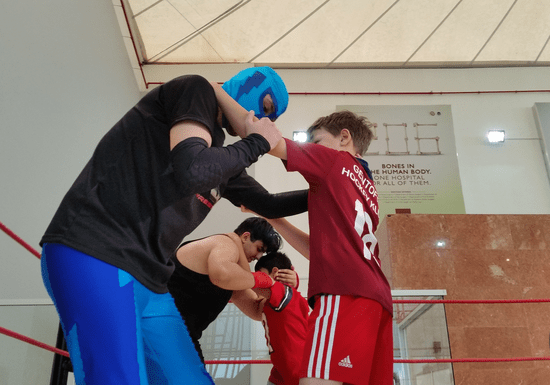 In this private wrestling class, you will learn wrestling moves such as key holds and reversals that would improve your cardio conditioning and body strength. You will also do intense wrestling drills and learn different strategies that will help you dominate your opponent in the ring. This class is suitable for participants of all ages and skill level. The training will be customized to your training needs whether you are a beginner or an advanced wrestler looking to wrestling skills up a notch. Even if you are not in 'ring' shape, it's OK! The purpose of this class is to help get you there! No prior conditioning is necessary but is recommended. Learning how to perform safely for yourself and others is key and will always be the number one priority during your training.